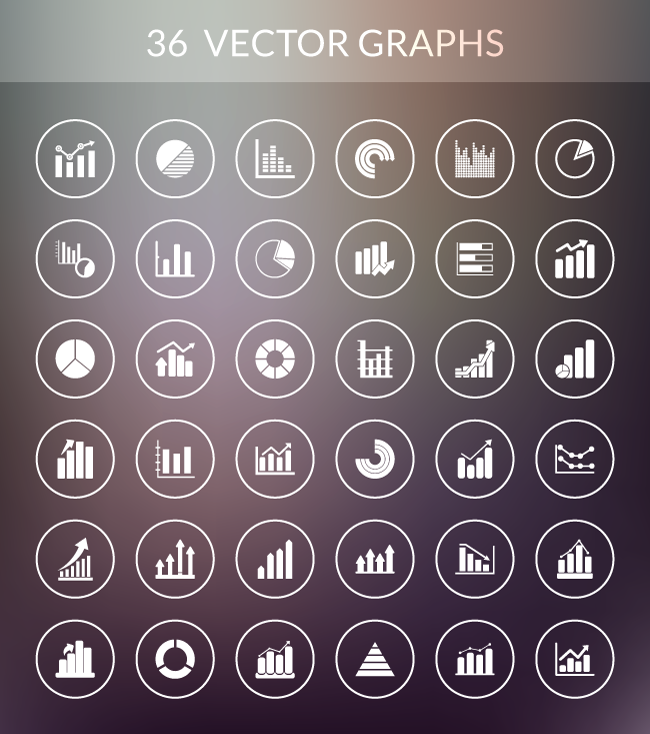 There is no better way of displaying complicated data than with beautifully designed charts and graphs. They not only make the stats much easier to understand to the viewer, they also have the power to make even the most mundane data seem appealing and interesting. If you’re looking for a simple method for creating your own data visualizations that you can use in both your web and social content, then today is your lucky day! Courtesy of Brusheezy.com, we have a huge free collection of flat vector pie charts, bar charts, graphs, plots and grids for you. In total, there are 36 different types of data visualizations included, with optional color or black & white variants available. They come in AI, EPS, SVG, PSD & PNG formats and you’re also free to use these charts in both your personal and commercial projects. Scroll down for the preview and to download the files. 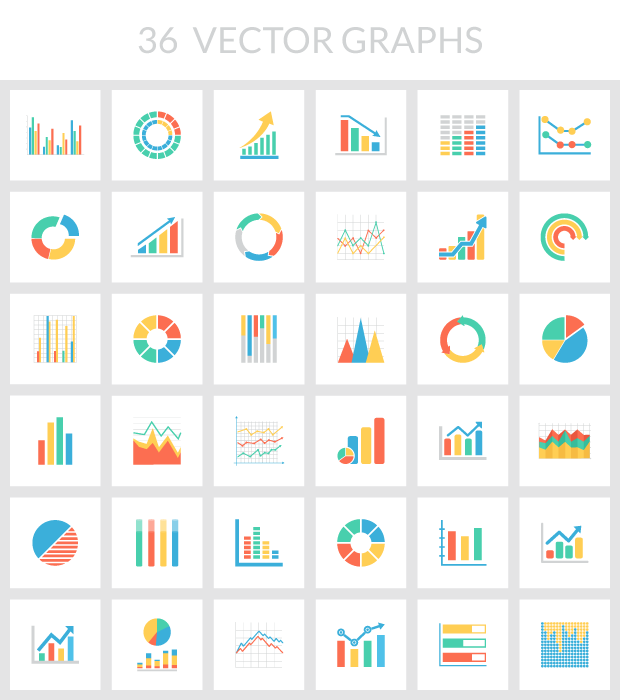 You are free to use this Vector Graph & Chart set in both your personal and commercial projects. Just enjoy them. Do you have a freebie thet you would like to share with our readers? If you do, you can get in touch with us here: [email protected].